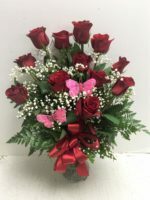 A happy occasion is even happier when you send our Thinking with Love arrangement that designed with carnations, alstroemeria, daisies and a red rose. 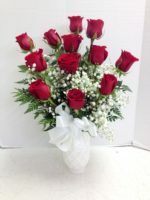 Do you see the red rose hiding in our Thinking with Love floral arrangement? 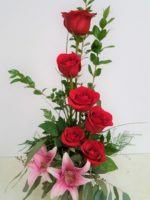 It’s an additional expression of love that’s perfect for Mom, your sweetheart or your daughter! 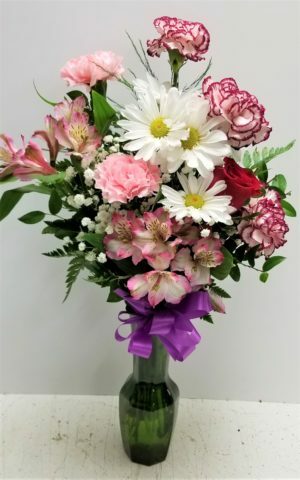 A happy occasion is even happier when you send our Thinking with Love arrangement that designed with carnations, alstroemeria, daisies and a red rose. 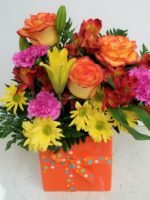 The lucky recipient will know she’s on your mind and in your heart when she receives this fun expression of love from you. 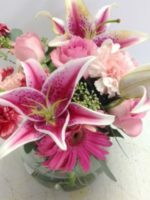 Perfect for Mother’s Day, Easter, Grandmother, a graduation or housewarming, the colors may vary but the sentiment will not. 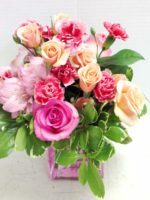 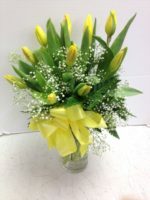 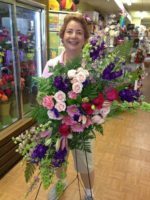 Other great options include our Pamela’s Choice Bouquet and our Celebrate Bouquet.